The designers of ZMIK animate spaces in an amazing way, playing on the properties of two-dimensional illustration and three-dimensional rendering, mixing more than just media in their artful installations and architectural projects. 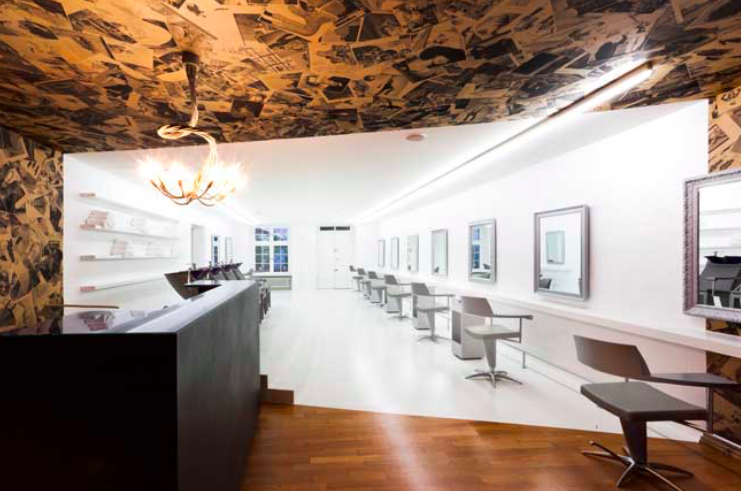 The redesign pictured above transforms a hair salon by subdividing the space into two zones, with a visual barrier consisting of nothing but white paint that creates an interesting perspective when viewed from the other side of the large, open room. 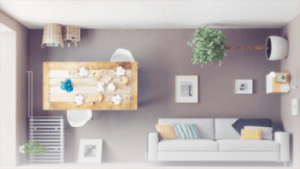 Flat plans come to life and lines on the walls turn into remarkable multi-dimensional images in this incredible interior design illusion inspired by the wireframe mode in popular digital design software Sketchup. Created for the office of an interactive media company, the space itself becomes a reflection of their creative projects and working goals. 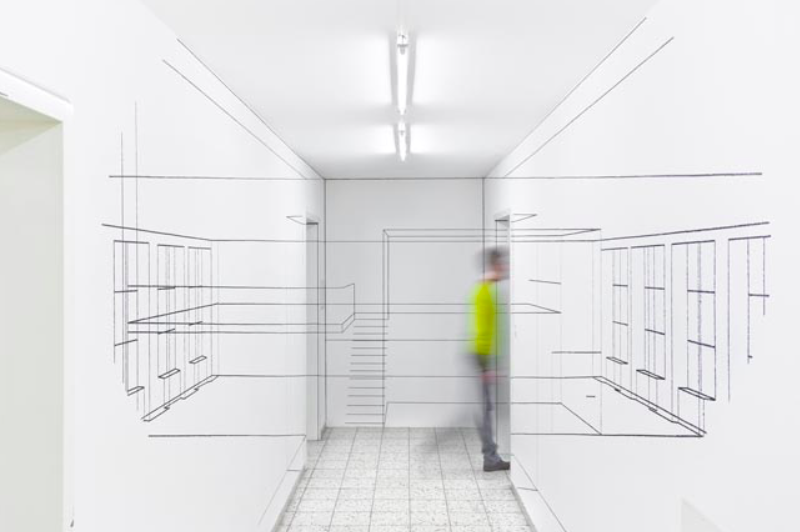 In some cases, the sketchy wireframe lines of the graphic art installation reveal what is behind a wall or unseen at the end of a corridor. 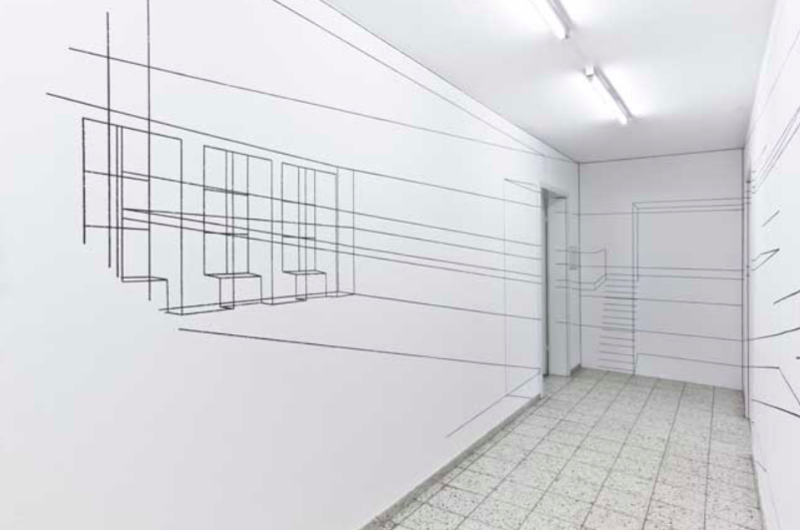 In other instances, an entirely fictitious set of rooms, hallways and spaces are represented, laying fact onto fiction and digital imagination onto cold hard reality. 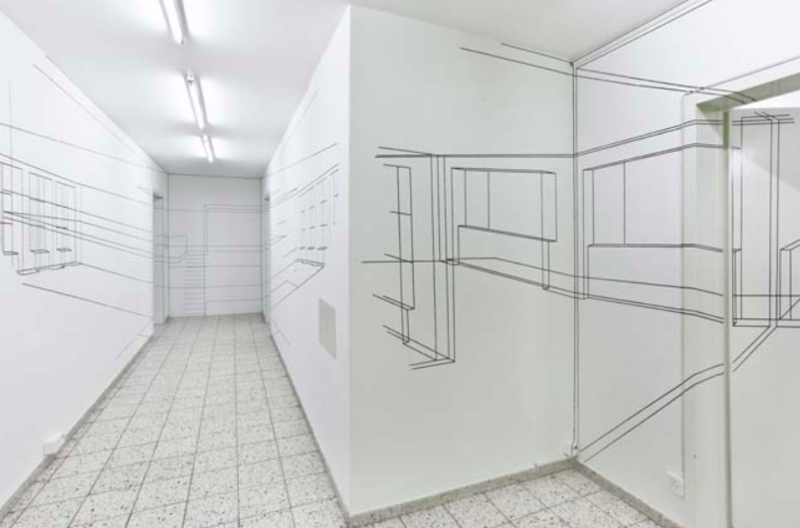 Viewed from indirect angles, the digital design-inspired images blur and become abstract line drawings rather than real-seeming spatial objects. At only five specific and central points do the patterns emerge and perspectives converge.